Acupuncture is a form of alternative or complementary medicine used for pain relief and to combat illness. Acupuncture is traditional Chinese medicine that has been in use for centuries and is now widely accepted in Western medicine for its curative and pain-relieving powers. To practice and provide acupuncture services in the United States, people must have a Master’s Degree in either Acupuncture or Oriental Medicine. But the most common question people ask is often what does acupuncture cost and how to find It cheap. The first appointment with an acupuncturist generally includes an intake to over patients’ health history, review their diet and lifestyle, and discuss why they have made the appointment. After the intake, the acupuncturist places whisper-thin needles into the arms, back, neck and other areas where the chi (or energy flow) has been blocked. These pathways—called "meridians"—where energy has been blocked become re-stimulated by the needles to bring blood and healing to the body. During the session, patients lay in a relaxed position with the needles in place for 30 minutes or more. Sometimes patients fall asleep during the treatment. In general, it is a relaxing experience. Pain from the needles is not a common side effect. 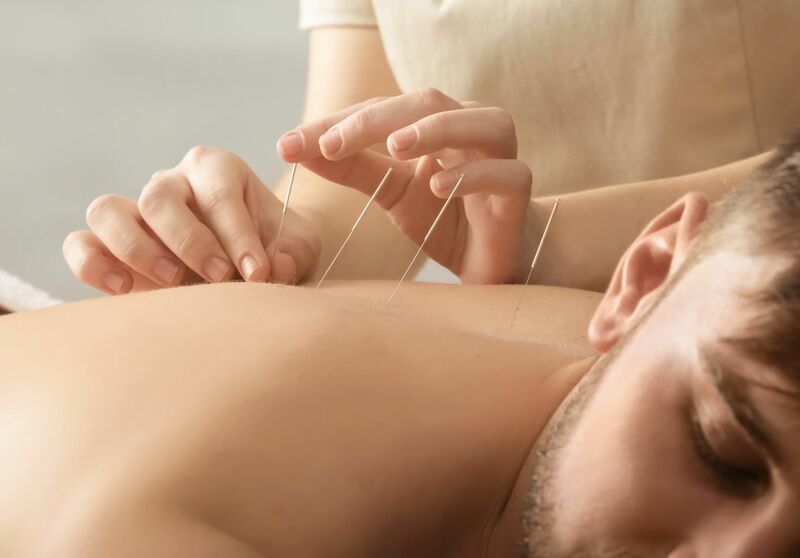 In subsequent sessions, the acupuncturist builds on the patient’s existing plan and changes the treatment (or placement of needles) based on current health. Acupuncture has been practiced in the U.S. for over 200 years, and in China and other Eastern countries for many centuries more. Acupuncture relieves back pain, eases migraines and tension headaches, and helps with arthritis. Acupuncture has also been proven to be effective in helping cancer patients manage pain, control nausea and vomiting, fight fatigue, manage hot flashes, xerostomia, neuropathy, anxiety, and depression and sleep disturbances, according to Cancer.gov. Several factors affect the cost of acupuncture services. B) The initial visit includes consultation, examination, diagnosis and treatment.